I can still remember the day we left Christ Church Central. I was 6 months pregnant, so prone to be on the emotional side, but it was nonetheless a scary moment. There we were, a smallish group, walking out of the church family many of us had been part of since it started, to begin something new. We were leaving good friends behind and it felt as if we were on our own. But of course, we weren’t. God was with us on that first day, and has been with us ever since, providing for us in ways we didn’t even know we’d need. It takes a while to call a group of people you don’t know very well “family”, but that’s what we’ve become with God’s help. As we’ve grown numerically, we’ve grown together, helped by meeting in groups mid-week and getting to know a small group of people better, by studying God’s word and praying for one another regularly. I’ve found it encouraging to see the many ways our church family supports and cares for each other, whether it be through practical help with meals and moving house, or more emotional support with encouraging texts and prayer when someone is struggling. This kind of sacrificial love isn’t easy, but God gives us his grace to bear with one another as we try to follow Christ’s example. I am so thankful to God for this church family and I know that whenever I’m away and go to a different church, I’m always grateful to come back “home” the week after. One of the things which I’ve found has helped me in “becoming family” is the growth of the women’s ministry. From meeting for social and crafty Friday evenings once a month, to establishing more formal times of prayer and study, we’ve got to know each other better, been able to share our lives together and been there to support one another as we strive to live as Christian women in whatever role God has given us. We were encouraged by the series on the family to follow the example Paul gives in Titus where the older women teach the younger ones. In a congregation with a fairly low average age, some of us have had to step up to the “older” role before we may have felt ready! One to ones and a mid week Bible study have also enabled some of us to spend more time encouraging and challenging one another as we think through how we should live in this world to glorify God and share our faith with others. We started 6 years ago with a group of less than 10 children and we now have 3 groups in Sunday School! As one of the growing number of parents in our church family, I am very thankful to God for the children’s ministry which is always having to expand as the babies keep coming and as our children grow and require different kinds of teaching. 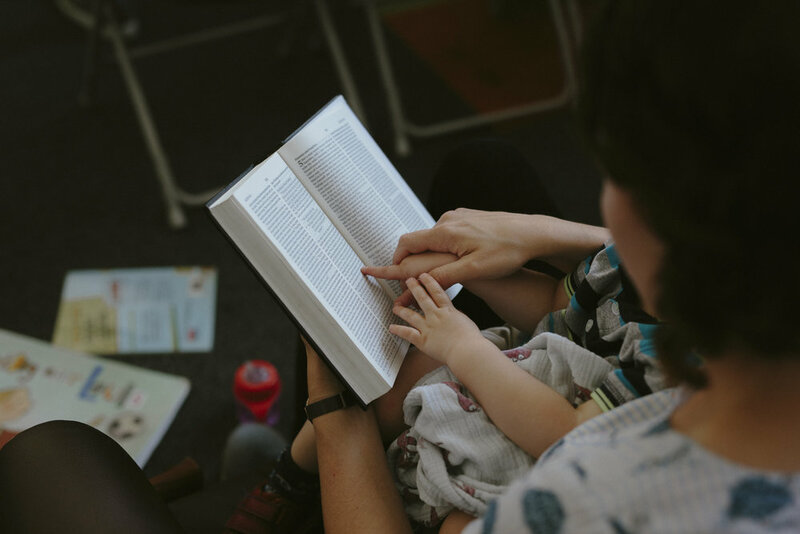 I am so grateful for those who teach and look after our children, supporting us, as parents, as we try to model Christian living so our children develop a living faith of their own. I am also grateful to God for our church leaders who teach the Bible faithfully every week and help us to think through different areas of the Christian life and challenge us to live in a way that shows Jesus to those we spend time with. It is so encouraging to see the ways people are growing and changing as they get to grips with God’s word and try to put it into practice in the way they live. Older PostWhy re-read the Psalms?